Serving on the Omaha Public Schools board has got to be one of the more challenging non-paid positions around. First of all, you have to get appointed or elected. Then comes the reality of representing your subdistrict and the community as a whole as a voting member of the governing body that’s over the superintendent and the administration of a very large and diverse urban school district serving 52,000 students. Throw in the fact that public schools are something every one has an opinion about – often a highly critical one at that – plus the fact that education brings up emotionally charged issues surrounding children, families, resources and opportunities, and certain disparities involving them, and you have the makings for one tough job. Despite all this, Omaha Public Schools board member Amanda Ryan loves the work and the responsibility. Her service is part of a lifelong passion she’s had for education. Read my El Perico profile of her here. When Amanda Ryan and her fellow Omaha Board of Education members couldn’t agree on hiring a new OPS superintendent last spring, it left that search in limbo and the community asking questions. Now, this emerging young leader is gearing up with her colleagues for a new search sure to be closely followed by stakeholders and media outlets. The Minden, Neb. native is a third generation Mexican-American on her mother’s side and identifies as a Latina. “That’s something that’s really important to me,” said Ryan, who is single with no children. The 26-year-old is finishing work on her master’s in sociology at the University of Nebraska at Omaha, just one of several markers she’s surpassed in her family. “It’s interesting having to navigate being the first one in your family going to college,” she said. Until winning the race for the Subdistrict 7 school board seat in 2016, she’d never run for or held public office before. She came on the board in a transition period that saw several new members elected to the body. The nine-member board selects the superintendent, sets policy, does strategic planning and oversees the broad brushstrokes of a diverse urban public school district serving 52,000 students, including many from migrant, immigrant and refugee populations. 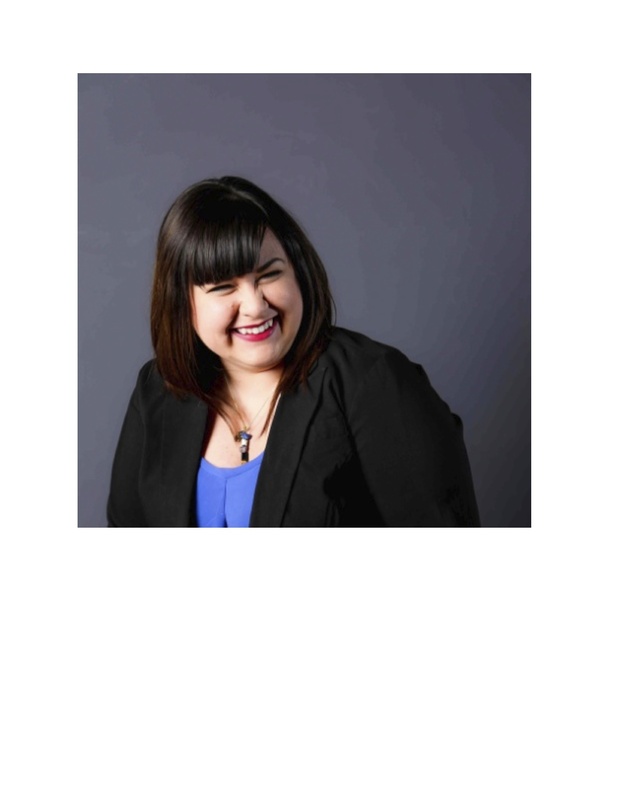 Ryan feels her ethnic background, combined with her studies, her past experience working for Project Interfaith and her current job with the Institute for Holocaust Education, gives her insight into the district’s multicultural mosaic. She sees a need for more minorities to empower themselves. She credits former Omaha Public Schools board member and current Nebraska state legislator (District 7) Tony Vargas with emboldening her to run. Her decision to serve was intensely personal. She has some goals for this academic school year. “I am going to try in to be in the schools a lot more building relationships and rapport with teachers and administrators. I know morale is low. I think you can see that in board meetings when the teachers’ union and support staff come out and express these extreme frustrations. In the wake of internal board contention that resulted in stalemates, members participated in a training session to improve communication skills and build unity. She said personality and idealogical differences – “I’m the furthest on the left politically on the board” – are being put aside. She said disagreements are bound to occur and can even be healthy. Incumbent district chief Mark Evans is delaying his retirement a year to shepherd OPS until his successor’s hired and assumes the post next summer. Whoever fills that role, Ryan said, will have a full agenda. Ryan knows something about making one’s own path. “I’m ridiculously independent,” she said. If you know me or follow my work then you know I have a heart for North Omaha. I grew up there. Went to school there. For a complex set of reasons having to do with how my life unfolded the first 42-plus years and North Omaha’s role in that, I found myself drawn to writing about some of the dynamics there – past and present. I still do. I am for anything that has the potential to do good there and when I heard about the new Nelson Mandela Elementary School going into the former Blessed Sacrament campus on North 30th Street it certainly caught my attention. Here is a story i recently did for Omaha Magazine (http://omahamagazine.com/) that gives a glimpse of the school through the perspective of two key people behind it, Susan Toohey and Dianne Lozier. North Omaha may be reversing five decades of capital resources leaving the community with little else but social services coming in. Emerging business, housing, and community projects are spearheading a revitalization, and a new school with promise in its name, Nelson Mandela Elementary, is part of this turnaround. The free, private school in the former Blessed Sacrament church and school on North 30th Street blends old and new. An addition housing the library and cafeteria joins the original structures. The sanctuary is now a gym with stained glass windows. Vintage stone walls and decorative arches create Harry Potteresque features. South African flag-inspired color schemes and Nelson Mandela-themed murals abound. The school that started with kindergarten and first grade and will add a grade each year is the vision of Dianne Seeman Lozier. Her husband, Allan Lozier, heads the Lozier store fixture manufacturing company that operates major north Omaha facilities. The couple’s Lozier Foundation supports Omaha Public Schools’ programs. Their support is personal. They raised two grandsons who struggled to read as children. The odyssey to find effective remedies led Dianne Lozier to new approaches, such as the Spalding Method used at Mandela. Mandela sets itself apart, too, using Singapore math, playing jazz and classical background music, requiring students to study violin, holding recess every 90 minutes, and having parents agree to volunteer. Mandela “scholars” take College for Kids classes at Metropolitan Community College’s Fort Omaha campus. It’s all in response to the high-poverty area the school serves, where low test scores prevail and families can’t always provide the enrichment kids need. Most Mandela students are from single-parent homes. Sharon Moore loves sending her son, Garrett, to “a new school with new ideas.” Eric and Stacy Rafferty welcome the research-based innovations their boy, William, enjoys and the opportunity to be as involved as they want at school. Moore and the Raffertys report their sons are thriving there. Community is also important to the Loziers. She and Toohey are banking that the school demonstrates its strategies work as core curriculum, not just intervention. For Toohey, launching and leading a school in a high-needs district is appealing. In preparation for opening last August, she says, “I spent a year researching educational practices and curricula and developing relationships with people.” Her outreach forged partnerships with Metro, College of Saint Mary, the Omaha Conservatory of Music, The Big Garden, and others. Dianne Lozier, whose foundation funds the school with the William and Ruth Scott Family Foundation, is a frequent visitor. Lozier adds that Mandela is a symbol of hope and opportunity. Visit nelsonmandelaelementary.org to learn more. Ferial Pearson is an award-winning educator highly regarded for her work with students who can use some extra TLC. An experiment in kindness she launched in a metro Omaha classroom proved healing and habit-forming. Pearson challenged her Avenue Scholars at Ralston High School to become Secret Kindness Agents performing anonymous good deeds at therir school. To her surprise the students ran with the idea, taking it well beyond what she imagined. The experience is told in a new book, Secret Kiindness Agents: How Small Acts of Kindness Really Can Change the World. When the 2012 Sandy Hook tragedy happened Ferial Pearson searched for answers and hope. Her bullied young son provided both when he revealed being comforted by her felt better than staying mad. That got Pearson, an award-winning local educator, thinking bullying and violence might be avoided through kindness. On Pinterest she found an envelope labeled “random act of kindness assignment.” That led her in 2013 to propose a Secret Kindness Agents project to her junior class of Avenue Scholars at Ralston High School. Doing character-building projects is old hat for Pearson, who went by Mama Beast to her students’ Baby Beasts. She didn’t know how the teens, who’ve since graduated, would respond. All came from challenging backgrounds. Several identified as gay or lesbian and were the target of bullies. She’d hand-out weekly assignments for students to anonymously complete at school – from sitting with someone they didn’t know to picking up trash to writing notes of appreciation. To her delight the students embraced the idea, even expanding on it, though for some it meant overcoming doubt or embarrassment. The project took on a life of its own and helped students heal, develop confidence and become like family. 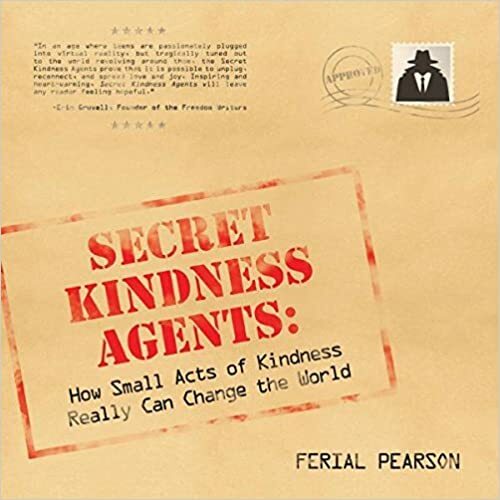 The story of how the project inspired and impacted participants is told in the new book, Secret Kindness Agents: How Small Acts of Kindness Really Can Change the World. Pearson was joined by some former students – she now teaches at the University of Nebraska at Omaha – at an August 31 signing at The Tea Smith, 78th and Dodge. For the students who took on this let’s-show-a little-kindness role, the experience went well beyond a class project. “For me, being a Secret Kindness Agent was so much more then doing the assignments each week,” Alyssa Schimbeck says. “I went out of my way to do things for others. When Pearson followed up a year later she found the kindness habit ingrained in many Agents, some saying they routinely performed random caring acts, with no expectation of recognition or reciprocation. “And they’re still doing stuff,” Pearson notes proudly. Schimbeck describes being at a bowling alley when fellow Agent Lance Otto retrieved a toy bull from a claw machine and gave it to her. Later, she noticed a little girl try but fail to win the same toy, whereupon Schimbeck gave the girl hers. 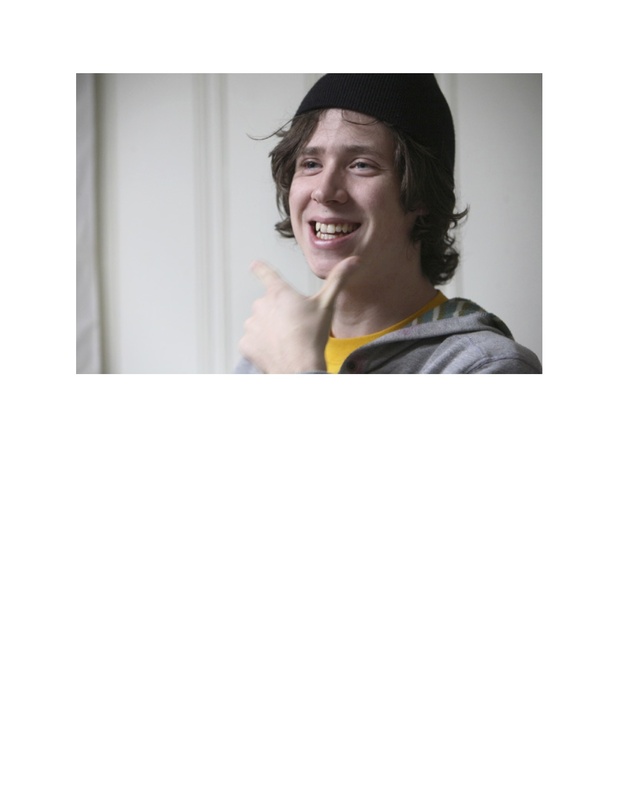 Mackenzie Carlson began as a project detractor. “I thought it was a terrible idea. My first assignment was to write a letter to an administrator, so I naturally picked the one no one liked, who I just happen to adore. I told her although she is not the most popular…she is doing a great job. I received a letter back saying how much she appreciated the note and how it helped her get through a bad day. That it meant a lot to hear a student give her positive affirmation. Beware our kindness; S.K.A.s’ might! The class adopted code names to protect anonymity. The students didn’t stop there. “They found YouTube videos on acts of kindness, they started bringing in social justice songs and stories all tying into kindness. All of it inspired me, too. I was noticing acts of kindness, making sure I was thanking people,” Pearson says. An entire ritual formed around each week’s assignment. Then Caslyn Lange asked Pearson’s help to fulfill an act of kindness outside the regular ones. She wanted to give a note of appreciation and $25 to a student who never gets noticed. When Pearson asked staff for nominations, she got several names and donations, resulting in nine students each receiving a note, $25 and Taco Bell coupons. As Lange wanted her happiness “spread out” by seeing people’s reactions, Pearson enlisted staff to summon the unsuspecting recipients to report to the main office. She and Lange were there to witness the looks of surprise, joy and gratitude on students’ faces. Other students initiated their own kindness acts as well. “Even though they were drawing assignments every week they were doing stuff on their own in addition to that,” Pearson says admiringly of her kindness entrepreneurs. When WriteLife.com publisher Cindy Grady saw Pearson’s posts about the project striking a chord with students she encouraged a book. Grady published an earlier book by Pearson and her then-class at Omaha South High School entitled In My Shoes. Pearson was hesitant but her Ralston students were not. When Pearson suggested proceeds go to a charity, the students elected the Juvenile Diabetes Research Foundation knowing one of their own, Triston Herring, is diabetic. Soon after Ralston Public Schools officials found out about the book assistant superintendent Kristi Gibbs authorized 500 copies be purchased. “We overwhelmingly were impressed with the work of our students and staff,” Gibbs says, “and we wanted to share the project with the entire district to showcase teachers and students from Ralston Public Schools. Our goal is to share wonderful ideas and practices …and the amazing lengths students and staff take to develop a sense of community and belonging. Gibbs says some Ralston teachers are planning their own SKA projects. Two teachers with close ties to Pearson are planning an SKA project in the Bryan Middle School homeroom they share. Pearson also hears about teachers doing similar programs around the country. The project lives on in other ways, too. “It keeps coming back to me,” Pearson says. “I keep thinking about it every time something horrible happens again. That’s what keeps me from spiraling to where I just want to hide and keep my kids with me and never let them go out into the world. It reminds me there are good people out there, there are good things, there is hope. The book’s available online and at select bookstores. 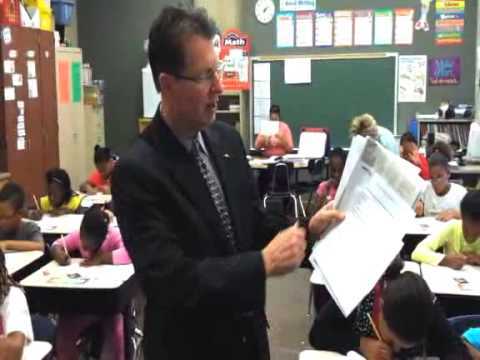 The Omaha Public Schools District deals with the diversity, needs, and challenges that any large urban school distrect does but it has had more than its share of infighting, controversy, and push back in recent years, much of it revolving around an administration deemed distant and unresponsive. As the following profile of new OPS Superintendnet Mark Evans indicates, there’s a new approach at the top, starting with him, as he has ushered in sweeping changes, much of them having to do with the district being more transparent and inclusive. This change agent has led the development of a new strategic plan among many other transformative actions. My piece is now appearing in The Reader (www.thereader.com). 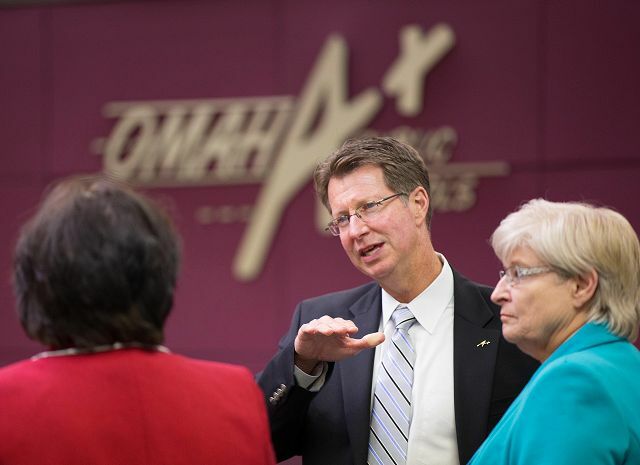 When Mark Evans accepted the job of Omaha Public Schools superintendent in December 2012, he knew the mission would be immense in this sprawling urban district facing myriad challenges. With 51,000 students spread out over 86 schools located in divergent environments ranging from inner city poverty to suburban affluence, the district responds to a wide spectrum of needs and issues. In his due diligence before starting the job he found the district’s good work often overshadowed by controversy and conflict due to an embattled school board and an aloof administration and no clear, unified vision. District elections turned over an almost entirely new board when Evans, who came to OPS from Kan,, officially started in 2013. The board has navigated a flood of changes that Evans has introduced in fulfilling a promise to shake things up and to address identified weaknesses in Neb.’s largest school district. One of his first orders of business was conducting a needs assessment that sought broad community input. Feedback from parents, teachers, administrators and stakeholders shaped a new strategic plan for the district. The plan outlines strategies for better communication, more transparency and accountability, closer alignment of goals and greater classroom rigor. He reorganized district staff and created new positions in response to an expressed need for better support of schools. He’s overseen a new student assignment plan, a new hiring policy and a facilities wish-list for $630 million in upgrades. Evans wants to stem the tide of students OPS loses to other districts, saying that’s difficult “if you don’t have room for them and many of our schools are just packed to the gills.” He adds, “You can’t compete with other districts unless you have facilities of similar caliber and we’re a real inequitable district today. About half our schools are beautiful facilities. The other half there’s a whole list of things that need to be worked on.” The facilities plan may go before voters as a bond issue. He compares the task of changing the district’s direction to turning around an aircraft carrier at sea. As captain, he plots the course but he relies on a vast team to implement the necessary maneuvers. Evans began the turnaround even before he started. “I didn’t start officially until July 1 but once I accepted the job I started visiting, collecting information, studying, so that when I did walk in the door I didn’t walk in cold. I walked in running because I’d already met staff and community. I’d purposely reached out. I had a very clearly laid out entry plan that described the things we were going to do. Evans likes what he sees on the horizon now that OPS has aligned goals at every level. “We’ve not had a clearly defined destination until today. What you had was some schools saying, ‘This is my destination, this is what I think is most urgent,’ and they just kind of did it on their own. The difference today is we’ve got clear alignment and we’re creating a system that creates support and accountability throughout. Everyone’s success is contingent upon someone else’s success. He says strategies are being honed “to create that same level of accountability” at all 86 schools and in every classroom. He’s well aware steering this unwieldy district in a new direction will take time given its sheer size. He left a good thing at the Andover (Kan.) school district to make this journey. He declined OPS overtures before throwing his hat in the ring. “I knew what it was going to take to do something like this, so I said no twice. The third time they asked me to call some people I knew up here and I did and I heard positive things from them. They said to look beyond the headlines because the headlines had been pretty devastating. In my initial research I saw a mess beyond repair but the further I looked, and I still feel this way a year later, the mess has been at the 10,000 foot level – with the superintendent and the board. It’s about getting rid of the noise and distraction and chaos there. Making it easier for him to take the plunge was the community support he found here he didn’t find in Wichita, Kan., where he spent 20 years working in that city’s largest public school district. Along with the deep pockets of the Sherwood and Lozier Foundations, OPS has relationships with mentoring initiatives like Building Bright Futures, Partnership 4 Kids and Teammates. Recognizing that many of its students live in poverty and test below grade level, the district partners with organizations on pre-K programs in an effort to get more at-risk children ready for school. New early childhood centers modeled after Educare are in the works with the Buffett Early Childhood Fund and the Buffett Early Childhood Institute. Evans champions community-driven endeavors aimed at improving student achievement and supporting schools because no district can do it alone, especially one as large and diverse as OPS. “Not only is it a big district, which creates some challenges, we have more and more free and reduced (lunch) students who qualify for the federal poverty line and we know that brings with it some extra challenges which is why we need community support. We have an increasing number of English as Second Language learners because we have a growing number of refugee families. These young people not only have language barriers but huge cultural barriers. Those gaps extend to resources, such as high speed Internet access. Some kids have it at home and school, others don’t because their parents and schools can’t afford it. He says the efficiencies possible in a corporate, cookie-cutter world don’t fit public schools because no two suppliers, i.e. parents, and no two products, i.e. students, present the same specs. “We take whoever walks in the door and wherever they’re at is where we take them, whether they have special needs, language arts deficiencies or advanced skill sets. So school A and school B might look different, in fact they’ll inherently look different even though the summative assessments are still going to look the same with standardized testing and those kinds of things. We do have these summative tools that tell us something about whether a school is progressing or not. Differences aside, the same overarching goal apply to all schools. Closing the achievement gap, he says, “is not just resources,” adding, “There’s a lot of things we can do with existing resources – that’s what we’re trying to do with alignment. For example, if we know of a specific strategy to improve math or language arts skills for kids below level why wouldn’t we train all our staff in that methodology for all our schools? We’d never done that. Instead, school A and school B would pick out whatever strategy they wanted. Some would buy a compute-based piece and some would do a tutorial piece at the Teacher Administration Center. His executive directors of school support, including Lisa Uttterback, were principals at high performing schools. Evans has charged them with helping principals adopt best practices at their own schools. “Lisa had great success in a high needs school (Miller Park). The test scores look good, there’s community partnerships and parent involvement. Kids are walking out the door with pride, ready for middle school. I took grief for taking her out of there but my thinking is she can have more impact by scaling her capacities to 21 schools. I need her to develop her skill sets to these principals she supports and I need the other EDs to do that with the leaders they support. Other principals have done the same thing. In addition to raising performance, there’s a push to keep kids in school. “In our district right now were at 77.8 percent graduation rate, which by the way is pretty high for an urban setting. But the truth is we’ve got to be higher than that, we’ve got to be over 80 and be moving toward 90, because if they don’t have a high school diploma today the research abundantly shows the opportunities in life are slim. Moving forward, he feels good about the school board he answers to. He says minus drama and acrimony at the top, OPS can thrive. He feels good, too, about he and the board having come in together to provide a restart for the district. Evans likes where his ship of a district is headed. “We’ve got the pieces in place to get it lined up. We’re already doing partnerships, we’re developing better classroom practices, we’re developing leadership for the schools and aligning them to very specific, collaboratively agreed upon goals. If we can pass this facilities plan we can give kids high speed internet access and safer, more secure environments. Education is not my beat. In fact, I don’t have a beat as a reporter or journalist. Life is my subject matter. Pretty broad, I know. But there are certain subjects and subjects within subjects that I get drawn to and one of these is the downtown Omaha Liberty Elementary School. The following is one of several stories I’ve filed about it and its staff over the years. It’s a special place with special people and hopeflly this story (and the others) conveys why. The woman who headed up the school at the start, Nancy Oberst, has since moved on but her assistant principal Ilka Oberst (no relation) is now in charge and so there’s been a nice continuity there. An example of the superb teaching staff at Liberty is Luisa Palomo, whom I’ve recently profiled and posted about, winner of the 2012 Nebraska Teacher of the Year award. I expect I’ll be drawn back there again to file a future story. Meanwhile, check out the articles filed under my education category and you should find quite a variety there. For the first time, the largely Hispanic-served Liberty Elementary School has a home to call its own. Located a half-block from the temporary warehouse Liberty occupied since being formed in 2002, the new-look Liberty opens the 2004-2005 school year August 25 in a newly constructed three-level building at 2021 St. Mary’s Avenue. Designed by the Omaha architectural firm Zenon Beringer Mabrey Partners Inc., the $7.4 million site is as traditional as the previous one was unconventional. With a likely enrollment increase from 500 to 600, Liberty’s continuing its mission of educating a high English-as-a-Second Language student base (60-plus percent) and gearing programs to new arrivals’ needs. Sixty-eight percent of its kids are Hispanic. Most are first-generation Americans. The remaining quotient is divided among African-Americans, Native Americans, Africans and Caucasians. Diversity at Liberty is more than a symbol, it’s infused in lesson plans and in the books kids read, in the art they create, in the foods they eat and in the heroes whose praises they sing. Taking advantage of a downtown locale with such kids-friendly attractions as the Omaha Children’s Museum across the street, the YMCA around the corner and the Rose Theater and Joslyn Art Museum within easy walking distance, Liberty’s formed partnerships that give students and families preferred access to these facilities. Unlike the old Liberty, which lacked a gymnasium and theater, the new Liberty’s outfitted with both. Not having those facilities was spun into a positive when the Y and Rose let students access their athletic and stage resources, respectively. A hybrid downtown-neighborhood school serving the low income areas just south, east and west of the restored Drake Court Apartments, Liberty’s created a warm school culture that’s arisen, in part, from the makeshift space it held classes in for two years. The school was situated in a former bus barn and paper storage warehouse. The facility, running from 22nd to 20th and Leavenworth Streets, was renovated by its owners, NuStyle Development Corporation, and leased to the Omaha Public Schools. Working with acres of open-floor space and lofty ceilings, Alley-Poyner Architects designed a modular layout of classrooms separated by partitions. With little to baffle sound, Liberty was constantly abuzz with noise. The resulting chorus of youthful voices leaking through the cavernous environs added a homey vitality and charm absent from the sterile confines of most schools, where children are holed-up behind walls except at class breaks, recess and meals. Liberty brightened a dull industrial setting into a vibrant space. Children’s artwork was plastered everywhere. Without an intercom system or classroom phones, Liberty staff communicated the old fashioned way, not unlike neighbors speaking between fences or hedges. Visitors could overhear or glimpse the rhythms of education unfolding or sometimes spilling-over all around. Principal Nancy Oberst said she and her staff enjoyed the freedom of a barrier-free school whose informality, in-turn, fostered camaraderie. “It’s something I saw real early on over there. If you needed something, you talked face-to-face or you stood on a chair and you reached over and grabbed that book or yardstick or whatever other resource you needed. We really could bring our staff together quickly because we spent so much time with each other and in such close quarters. We had a lot to overcome and I think because of that we became a real unified, strong staff. We had to be together to do it,” she said. Beyond the benefits to staff, she feels the more relaxed school atmosphere helped put students and parents, including some immigrant adults facing legal residency issues, more at ease. With the move to the new building and its more spacious and segmented interior, she doesn’t want to lose the essence of what made Liberty such an inviting place. Likening a new school to a gleaming gated community, she wants to avoid the trend that isolates people behind closed doors. For a first-time school plopped-down in a funky area of trendy eateries, light industries and thrift stores and in close proximity to 24-Hour Package Liquor and the Douglas County Correctional Center, it’s been a successful adaptation. The school went to great pains to win over neighbors. It worked with the Omaha Police Department to increase patrols and the City of Omaha to ease traffic snarls. Still, an apartment house only two blocks away has been the site of repeated police calls over drug and prostitution activity. Neighbors are suing its owner. Oberst said Liberty’s own diversity is a selling point. It’s why Jim and Barb Farho and John and Jennifer Cleveland elect to send their kids there. She said the fact parents keep their kids enrolled “means we’ve really held their expectation of providing a quality education in a diverse urban environment.” Another indicator of Liberty’s quality, she said, is that several teachers on staff send their kids there. The sight of Liberty kids walking to and from school in the working-class Columbus Park neighborhood must evoke memories in older residents of Mason School. Now apartments, the former South 20th Street public school was long a magnet for children of the European immigrant families that once anchored the ward. Like then, many Liberty families are starting out or starting over, but one difference is Liberty’s highly mobile student body. Many youths lead nomadic lives due to parents’ seasonal jobs or pending legal status or family issues back home in Mexico, Guatemala or whatever Latin or Central American country of origin they hail from. Strict post-9/11 regulations may prompt newcomers to uproot their families, she said, such as the Nebraska License Bureau’s requirement of a birth certificate, green card and social security card. Requirements for registering a child at Liberty remain the same — a birth certificate, immunization record and address verification. bilingual minority children have of acting as interpreters for their parents, who, in turn, are frustrated by a language gulf that makes them dependent on their kids. She said many Liberty kids grow up wanting. “There’s no space for the kids to play. There’s no space for the family to have a quiet dinner. All those things that promote communication and closeness — it’s more of a challenge.” She described a recent home visit that found no parent at home to attend the kids, one of whom was sick and absent from school that day, and a living space so cramped that bunk beds were literally jammed in a doorway. “There’s some sadness,” she said. Liberty’s many partners include Camp Fire, First National Bank and Kutak Rock LLP. Liberty’s working to expand its Y ties to encompass a swimming program. Oberst is seeking support to put an I-book or laptop in every kid’s home. In keeping with its mission of providing care to the underserved and uninsured, One World Community Health Centers makes twice-weekly visits to Liberty for pediatric check-ups, immunizations, physicals — “all the things our community needs but doesn’t have much access to,” Oberst said, adding that One World is after funding to add on-site family health and dental care and behavioral counseling services. With Omaha gearing for its own citywide Louder Than a Bomb youth poetry festival and competition (April 15-22), I profile high school student Marissa Gomez, a talented writer and performer who will be representing with her teammates from Omaha South Magnet High School. She and her fellow teen poets are brave souls for how deep they plumb the depths of their beings. I recently met Marissa for this story. I interviewed her and saw her perform one of her poems, and I was bowled over by her command of language and her, well, fairly refined poetic sensibilities. She has a maturity about her work and her life that’s beyond her years. Whether she and her team win or lose at the event is beside the point because she’s well on her way to blazing a trail for herself that will get her to wherever she wants to go. When South High Magnet School represents at Omaha‘s first citywide youth poetry slam, Louder Than a Bomb, starting April 15, junior Marissa Gomez will be a performer to watch. Resident poet Katie F-S, who coaches South’s poetry slam team, has high praise for Gomez:LTaB takes its name and model from a teen poetry festival and competition in Chicago, where slamming was born. A popular documentary about the event has sparked a nationwide youth slam phenomenon. With friends cheering her on the 16-year-old Gomez took second place in her school’s December slam. On Fridays South teacher Carol McClellan runs an “open mic” in her creative writing class, where Gomez tries out her latest poems. On April 6 she stood to deliver with equal parts conviction and poise her poem, “For You, I Would Pray to God.” The piece, like all her work and that of her classmates, is deeply personal. “At the beginning of the year when we first started doing open mics it was difficult expressing these raw emotions to people but as much as we’ve gotten to know each other it’s like we’re home. We just kind of go there and we open up,” she says “We open up things in writing that maybe we wouldn’t normally share. Revealing her inner life to others is freeing and healing for Gomez. The turmoil she often expresses comes with the territory. Her poems and those of her peers are not all angst-filled reels and rants about the pangs of youth. There’s plenty of humor, too. However, despair is a common refrain. “Who I Am” deals with the dark moods that once overtook her. “I used to be really depressed,” she says. “and this poem is kind of telling people that’s the way I am. One of the lines in it is, ‘Would you still love me if you knew that on the inside my anger and hate it grew.’ I mean, it’s really just being honest that I’m not perfect. Everyone seems to think I’ve got it all going on so good, but again I’m 16, I’ve got a lot of stuff going on, and it’s not always working in my favor. Anything is fair game for a poem. Her work sometimes refers to an older brother serving time in prison. They often exchange letters. Hers contain poems, his include raps. At LTaB she expects family and friends to support her as always but she’s not hung up on the competition aspect. “It’s not about points and placing. Yes, we would like to place, we would love to win, but when it’s all said and done if someone heard something and took something from what we wrote, then that’s great,” she says. Having a platform for her voice is all she really cares about. For Omaha slam details visit ltabomaha.org.